FREMONT, Calif., Oct. 1, 2018 /PRNewswire/ -- Tailored Brands, Inc. (NYSE: TLRD) today announced the appointment of Carrie Ask as brand president, Men's Wearhouse and Moores. Ms. Ask will report directly to Tailored Brands' executive chairman and will oversee the combined $2 billion omni-channel business that includes nearly 900 stores across the U.S. and Canada and sees roughly 40 million annual e-commerce visits. "Carrie has a strong track record of delivering consistent sales growth across multiple retail categories and channels," said Executive Chairman Dinesh Lathi. "Behind Carrie's success is her passion for the customer and her ability to develop innovative solutions to adapt to today's rapidly evolving retail landscape. We look forward to leveraging Carrie's deep retail experience with global lifestyle and big box brands to lead Men's Wearhouse and Moores to new heights." "Men's Wearhouse and Moores represent market leading brands known for delivering personalized service that help men feel confident and love the way they look. I am passionate about overseeing the customer experience from end-to-end as brand president of Men's Wearhouse and Moores, and working with the teams to attract new customers, increase our market share and accelerate profitable growth," said Ask. Ms. Ask joins Tailored Brands from Levi Strauss & Company (LS&Co), where she was executive vice president and president, global retail. At LS&Co, Ms. Ask oversaw more than 2,900 retail stores in 30 countries and partnered with the global e-commerce team to define and deliver a seamless direct-to-consumer experience. Previously, she was vice president and general manager for Nike stores North America at NIKE Inc. Also at NIKE Inc., Ms. Ask held the position of vice president and general manager for global retail at Converse. Ms. Ask also served in executive leadership roles at Petco, Target and BC Natural Foods. She is a graduate of the United States Naval Academy and began her career by serving as an officer in the United States Navy. Ms. 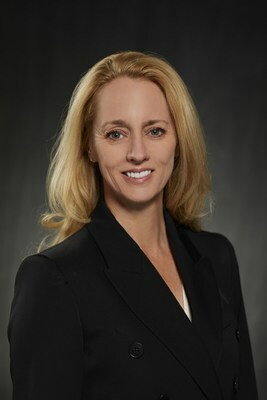 Ask transitioned into retail by earning a Master's in Business Administration from Northwestern University, Kellogg Graduate School of Management, and joining McKinsey & Company, where she served in the retail practice and was designated as associate principal. Scott Norris will step into the position of chief merchandising officer for Men's Wearhouse and Moores. Mr. Norris has been with the Company since 1995 in progressive merchandising roles before becoming brand president of Men's Wearhouse and Moores in 2014. Lathi said, "Under Scott's leadership, Men's Wearhouse and Moores built exclusive labels and developed innovative partnerships that created customer loyalty and drove strong topline growth and profitability at these brands." "I look forward to partnering with Scott and benefitting from his strong merchandising expertise and deep knowledge of the customer as we build on the momentum in the Men's Wearhouse and Moores businesses created by personalized custom suiting and trend-right product assortments that our customers demand," said Ask. As the leading specialty retailer of men's suits and largest men's formalwear provider in the U.S. and Canada, Tailored Brands helps men love the way they look for work and special occasions. We serve our customers through an expansive omni-channel network that includes over 1,400 stores in the U.S. and Canada as well as our branded e-commerce websites. Our brands include Men's Wearhouse, Jos. A. Bank, Joseph Abboud, Moores Clothing for Men and K&G. We also operate an international corporate apparel and workwear group consisting of Dimensions, Alexandra and Yaffy in the United Kingdom and Twin Hill in the United States. This press release contains forward-looking information, including the Company's statements regarding bringing Men's Wearhouse and Moores to new heights and increasing market share and attracting new customers at these brands. In addition, words such as "expects," "anticipates," "envisions," "targets," "goals," "projects," "intends," "plans," "believes," "seeks," "estimates," "guidance," "may," "projections," and "business outlook," variations of such words and similar expressions are intended to identify such forward-looking statements. The forward-looking statements are made pursuant to the Safe Harbor provisions of the Private Securities Litigation Reform Act of 1995. Any forward-looking statements that we make herein are not guarantees of future performance and actual results may differ materially from those in such forward-looking statements as a result of various factors. Factors that might cause or contribute to such differences include, but are not limited to: actions or inactions by governmental entities; domestic and international macro-economic conditions; inflation or deflation; the loss of, or changes in, key personnel; success, or lack thereof, in formulating or executing our internal strategies and operating plans including new store and new market expansion plans; cost reduction initiatives and revenue enhancement strategies; changes in demand for clothing or rental product; market trends in the retail business; customer confidence and spending patterns; changes in traffic trends in our stores; customer acceptance of our merchandise strategies, including custom clothing; performance issues with key suppliers; disruptions in our supply chain; severe weather; foreign currency fluctuations; government export and import policies, including the enactment of duties or tariffs; advertising or marketing activities of competitors; the impact of cybersecurity threats or data breaches and legal proceedings.